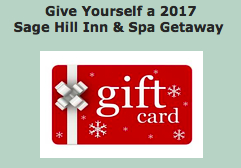 Book a stay Friday and Saturday night and get Sunday night free the whole month of January 2017 as a thank you from Sage Hill! Not valid with any other offers. New Year new you! Book an All the Time in the World spa package and receive a bonus of $50 gift certificate in the month of January. Must call the hotel at 512.268.1617 to book these offers!